Movavi Screen Capture Studio software for Windows and macOS will come in handy if you want to record anything that occurs on your screen like video playing on your computer screen or playing games at an online gaming site. You can plan the content of the screen capture video on a piece of paper before starting to record. You should include all possible details in the plan to create a valuable screencast. Writing a plan can help you to stay focused when you are recording the screencast. Movavi Screen Capture Studio allows you to record your own voice on the microphone. To enable it to capture the voiceover on your microphone, you must click on the microphone option in the small control panel. If you want to include your voiceover, make sure you rehearse your voice until you are able to speak in the professional way in the video. In this way, you don’t have to rerecord your voice when your voiceover just didn’t flow in the video. You must make sure that you are capable of explaining every single detail clearly to the audience. Rehearsing can prevent you from making mistakes in the video. When recording your voice, you should not talk in a monotone voice. Adding some personality to your voice can encourage people to pay attention to the video. You just have to talk in a casual way on the microphone to create a voiceover with personality. It is important to keep the video as short as possible because long video will take up a lot of spaces. You should make sure that everything you need for recording the video is available conveniently, for example files that you want to open on your desktop during the screen recording. If there are some private stuff on your desktop, make sure to relocate them to a folder that is not seen by your audience. It is important the workspace is neat and organized. There is no complicated step to record the web video. When you first launch it, a rectangle frame which determines the recording area will appear on the screen. You just put your cursor to the corner of the rectangle frame and drag it however large or small you want to accommodate the video recording area. If you already know the resolution of the area where you want to capture the video, you can select one of the preset resolutions from the select capture area drop down menu. Next, you have to set the software to capture the sound from your speakers. To do this, you simply press the System Audio button. You will see a green check mark when you press the System Audio. The sound quality plans an important role in the quality of the video produced. To make sure your video have good sound quality, you must good computer speakers that produce clear sound. You must make sure to play the video first before pressing the rec button otherwise it will record your mouse cursor pressing the play button for the online video to stream. You can walk away from your computer screen and do other things while the video is being recorded on Movavi Screen Capture Studio. There is a timer feature on the vertical bar to the left of the orange REC button. If you click the timer icon, the capture time options dialog box will appear. There are options for you to set the time to stop capture after a specific time or schedule recording from a specific time to a specific time. You must enter the time by the hour, minute and second exactly as when you want to it to start and stop recording the video. Movavi Screen Capture Studio allows you to set the codec and frame rate of the video. If your hard disk does not have much space left, you can try to record it at a low frame rate so that the size of the video will be smaller when you save it. You can customize the keyboard shortcuts that let you control the different functions during the screen recording. In this way, you don’t have to click the control panel in the task bar to access the features. 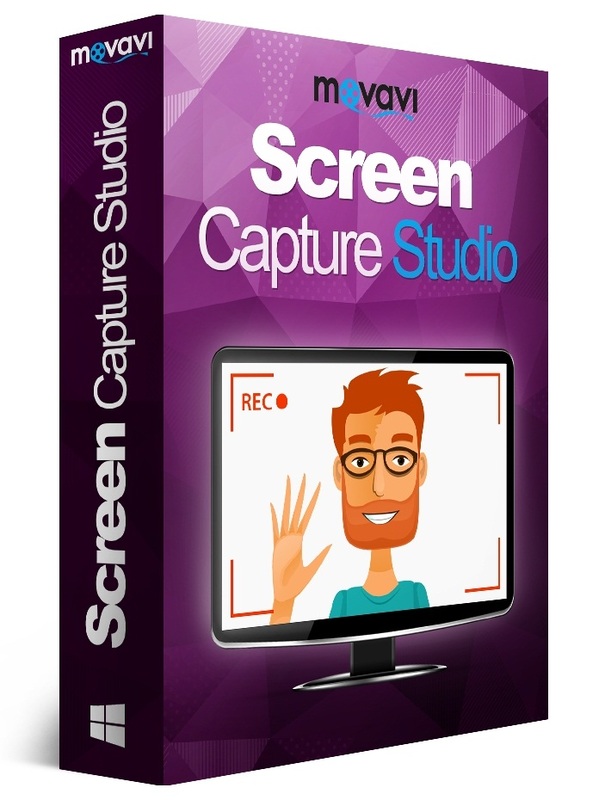 Movavi Screen Capture Studio is 2 in one screen recorders that not just allow you to capture online video but also editing the video you have recorded. You can add effects and titles onto the video. The built in video editor in Movavi Screen Capture Studio features a timeline that shows the video and audio track in separate rows. You can preview the video as you make changes to it in the built in video editor. You can merge other videos already on your hard disk to the one you have recorded in the video editor. The video editor is very easy to use and you will easily know which button to click to perform the necessary video editing functions.